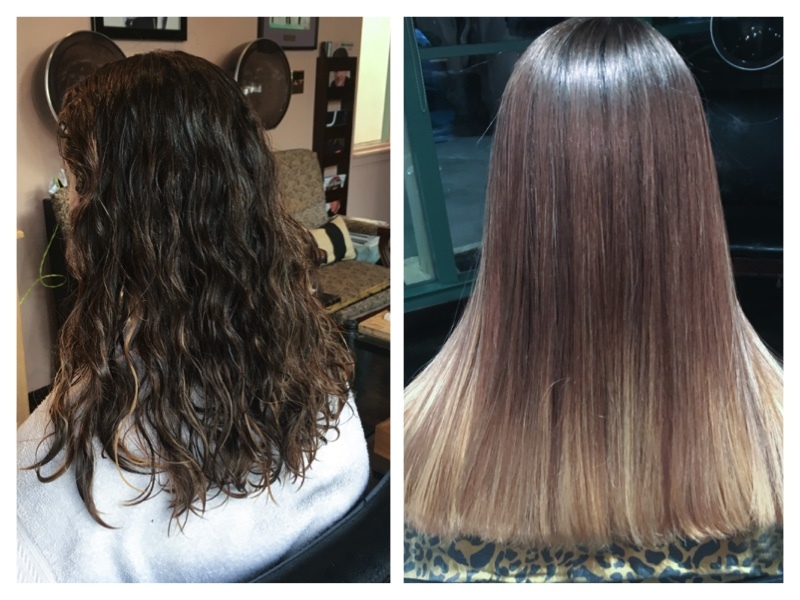 Uberliss – a nano two-step keratin treatment with an added color-guard to help retain client color. The formula embeds a conditioning mesh into the cortex to reduce steps and allow for easier application, while improving smoothing performance. Step one of the nano keratin treatment is the Uberliss Fiber Expander which offers a dual functionality of expanding the hair cuticle and inserting the conditioning crosslinker, di-amine. Step two, Uberliss Fiber Restructure, penetrates the cortex and inserts the straightening active glyoxylic acid and the blend of nano technology keratin, cysteine and buriti. During heat application, crosslinks form between the di-amine and glyoxylic acid to create the mesh that keeps hair soft, silky and smooth for up to five months. The Uberliss Frizz Elixir will be used before the final flat-ironing step to give thermal protection, add shine and control any remaining frizz. Visit uberliss.com. One question is, “Is there formaldehyde or methylene glycol in nano keratin treatment technologysystem Uberliss?”. Of course not. Uberliss has never worked with formaldehyde or methylene glycol. nano keratin treatment Uberliss is about how formaldehyde was not good for your health or the industry. Some brands have 6%-7% methylene glycol in their products, but this is bad for your health. When you blow dry or flat iron, these fumes will affect your eyes, throat and nose. This is all documented by OSHA and health institutes. That is why I stay away from formaldehyde or methylene glycol. OSHA and EPA tell you that the nano keratin treatments that contain this ingredient are one and the same thing. Uberliss uses a compound called Glyoxylic Acid with a very low pH. Any fumes there are will not really affect your health. To me, my health and the health of my clients is most important.